As kids get older, they become more independent and begin making their own choices. As parents and guardians, it is important to encourage kids to make good and healthy decisions in their everyday lives. Promoting these behaviors will help them develop into well-adjusted adults. Reinforcing these positive behaviors can also help kids feel good about the choices they make. These choices will further motivate them to continue being good, responsible people. 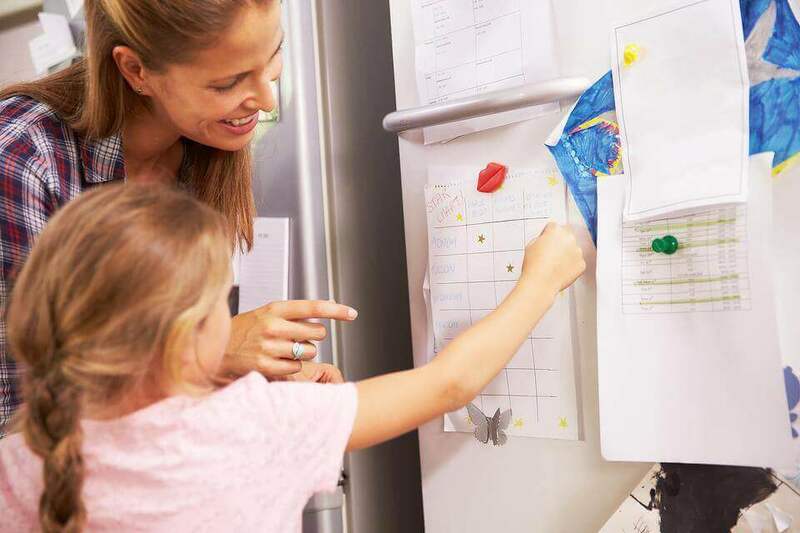 Here are some ways parents can use positive reinforcement for kids every day. This sort of simple encouragement can go a long way. For example, “your room looks great when its tidy” or “I like how you’ve organized your toys.” This type of praise can give kids the validation they need to continue doing these things, find joy in them, and continue to listen when you ask them to complete such tasks. Encouraging your child to improve and keep up with good behavior can be a big confidence and self-esteem booster as well as a motivator. Especially if they are being kind or helping out. This will help them find value in these things and they may start doing things on their own. Parents are their children’s first and most powerful moral teachers. Therefore, it’s important that you demonstrate morals you want your kids to pick up from you. Try to make your life a living example of good moral behavior for your child to see. Reinforce good moral behavior as it happens and make sure to always prioritize moral habits daily. This can be done by getting kids involved in helping others and the world around them. Instilling good values can go a long way and stay with your child as they get older. But with all of this in mind, how can you know when positive reinforcement is most effective? Utah State University published a behavioral guidelines checklist outlining when positive reinforcement works the best. According to this study, body language and positive verbal affirmation are the most effective, following a behavior you want to encourage. Saying things like “I’m proud of you,” “great job,” or being specific like “that was very polite of you,” or “that was really nice of you to (do what you did),“ can be incredibly effective. Not all encouragement has to be verbal, either. Smiling, nodding in approval, and even doling out high-fives and thumbs-up can go a long way. Take Away: Using simple but proven strategies can make real differences in your children’s lives. Especially when you choose ones that matter most in raising good kids then commit to making them become a habit in your daily parenting.